This morning while reading Revelation chapter 11, I had a flashback down memory lane. One that first produced a slight chuckle in the early morning darkness. Then a warm feeling inside. And then some personal introspection. Verses 11 and 12 reminded me of a sermon I heard Robert Jackson preach 50 years ago. Of course, I may remember it so well because l “borrowed” and preached it several times in my early days of ministry. Revelation is a symbolic book that depicts the conflict between God and Satan; between good and evil; and the church and the Roman forces of paganism. It is a divine message that assures us Truth will triumph over error. That God’s people will win the war against the Devil. And to remain faithful even in the face of extreme persecution. In a powerful scene in chapter 11 where the two witnesses are martyred for the cause of Christ, we read these encouraging words. And after three days and a half the Spirit of life from God entered into them, and they stood upon their feet; and great fear fell upon them which saw them. And they heard a great voice from heaven saying unto them, Come up hither. And they ascended up to heaven in a cloud; and their enemies beheld them. Do not consent” (Prov. 1:10). The great voice of God calls, “come up hither.” He speaks from his inspired Word. He calls us to come out from a world of sin and be separate (2 Cor 6:17-18). He provided a path for salvation. He does not want you to be lost. He desires that you ascend to heaven and be with him for eternity. The great voice of the Spirit calls us. Not in some mystical manner. Not in a still, small voice in your heart. But through the Word given to the apostles and written for all of us to read. At the end of John’s revelation he wrote, “And the Spirit and the bride say, “Come!” And let him who hears say, “Come!” And let him who thirsts come. Whoever desires, let him take the water of life freely” (Rev. 22:17). In the same passage, we read the Bride says “Come.” The Bride of Christ is the church of Christ (Eph 5:25). The one he promised to build (Matt 16:18). The one He purchased with His blood (Ax 20:28). The one of which He’s the head (Eph 1:22-23). I’m amazed at those today who denigrate the Lord’s church. It is simply God’s called out people. It’s sinners saved by grace who care about those lost in sin and call them to come to Christ. The voices of great saints who’ve gone on to their reward also call “come up hither.” John the Immerser who was beheaded. Stephen who was stoned to death. James who was murdered by Herod’s sword. The “cloud of witnesses” in Hebrews 11 like Abel, Abraham and Moses who remind us that it pays to serve God by faith. “Come up hither”’ they call. Are you coming to Jesus tonight? Thank you Ken. This brought tears to my eyes. I never heard Robert preach this particular sermon but in my mind I heard it as you told about it. What a powerful influence he had on my development. Ken, Thanks for this stroll down memory lane. I miss Robert more than I can say. I wish I were more worthy, but I hope to preach Robert’s sermon soon! 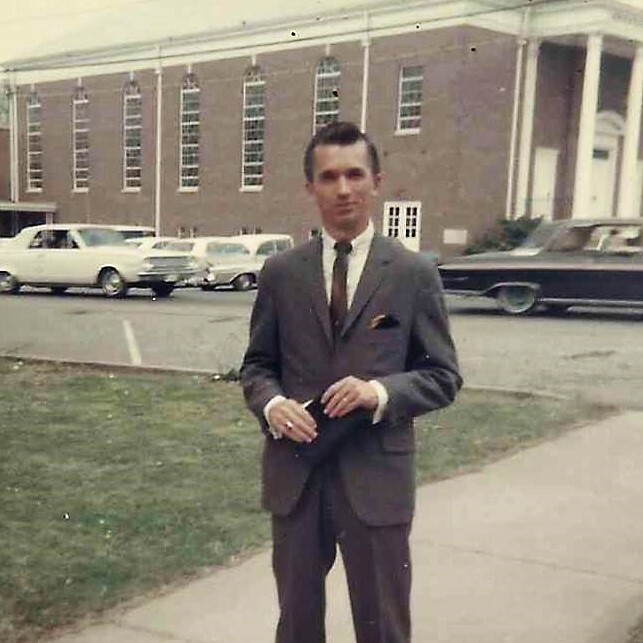 He held several meetings for us at the Washington Ave. church in Russellville, AL .Those days at Washington Avenue were some of the best days of my life with Marilyn and our boys. I never heard Robert preach that one either. And we have too many former Riverside Drive members for me to be borrowing his material. But I’ll just have to run your article in our bulletin. Ken, that sermon goes back to the late 1960’s. I doubt anyone there remembers it. But feel free to print in your bulletin. Those who remember Robert will enjoy it. Rober’s Sermons, as you well know, are memorable. But if I did preach that sermon I’d have to quote lyrics from the George Jones song, “I’ve Heard Voices.” I’m sure Robert wouldn’t mind. What a touching lesson. Thank you for the reminder of those “calling”.